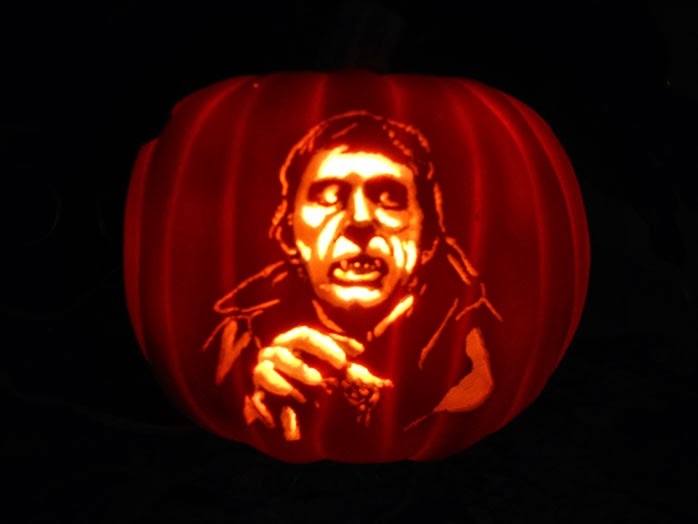 * It's the Great Pumpkin, Barnabas Collins! (Photo via Observations from Oblivion.) A similar pumpkin-carving pattern is available for sale from www.stoneykins.com. * Matt Hall, son of Sam and Grayson, shares a story about his parents involving a "a drunken, cream-soaked, dying snail." * Hulu Plus has expanded its DARK SHADOWS library, adding an additional four "seasons" to provide a total of 200 episodes streaming online.